Welcome aboard the Olivia Lee, a true sailing thoroughbred. 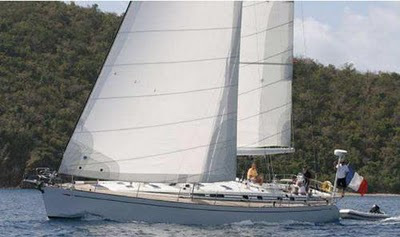 Enjoy world class sailing in a fast and modern Frers designed Swan 56 that is both easy to handle, responsive and fast in all conditions. Olivia Lee was optimized for chartering. She has four staterooms, one with a double berth, and three with double bunks (one of which is for crew). All the cabins open onto a spacious main saloon and galley, and there are two heads (both electric fresh water) one for the forward cabins, and one for the aft cabins as well as a separate stall shower forward. Guest cabins are both port and starboard forward (each over/under single berths – both access to forward shared head/shower compartments). Master cabin is starboard aft (double – ensuite with head). The captain’s cabin is port side aft (over under single berths, access to engine/electrical/watermaker/etc). All berths come with drawers underneath.